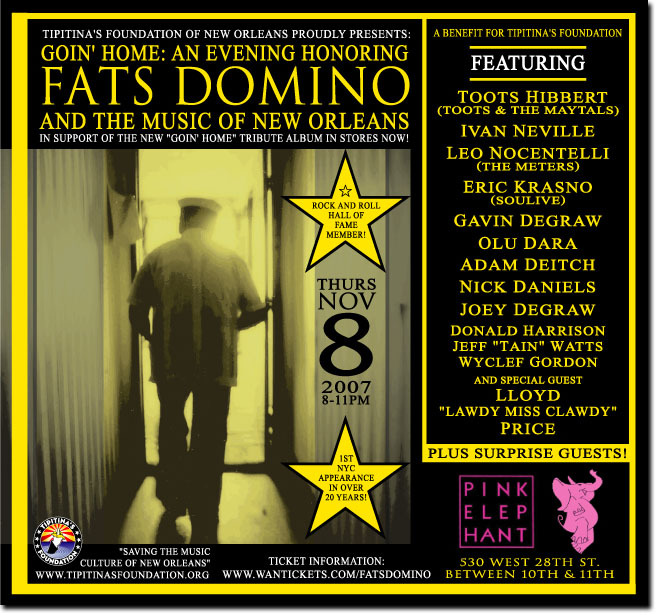 Fats will not only be a guest on "Late Show with David Letterman" on CBS-TV November 8, he will also be making his first New York City appearance since 1992, at the Pink Elephant. See the promo ad. This will also be his first time out of Louisiana since 1995. 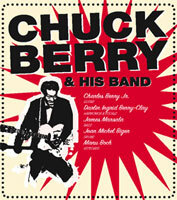 Apart from a couple of shows just across the Louisiana border in Mississippi. 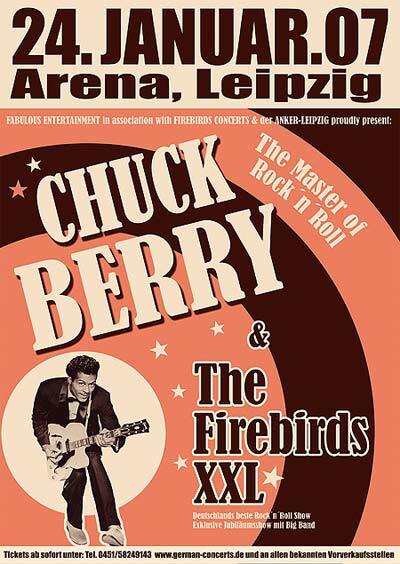 LIFETIME ACHIEVEMENT AWARD 2007 to CHUCK BERRY. JAMES BROWN and ELTON JOHN. Previous award winners include ELTON JOHN and SIMPHIWE DANA. MARK KNOPFLER and SINEAD O'CONNOR. with LUCINDA WILLIAMS. This 1,500-people-capacity show is already sold out! dates already lined-up as well as a potential CD release. making his first public appearance since suffering a series of ailments earlier in the year. newer facilities such as the McComb Sports Park and the McComb Tiger Activity Complex. The Blues Marker unveiling will follow the tour. for the Blues Marker unveiling and brunch following the ceremony. Call 684-8664 for info. 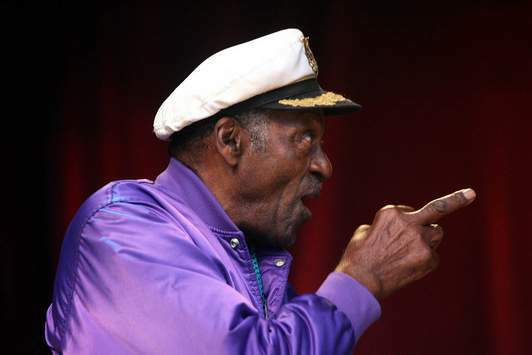 the Depot Pavilion at 12.30pm, although BO DIDDLEY is not expected to perform. On November 3rd, the Festival continues at the walking track areas at Southwest Mississippi Regional Medical Center. with the City in putting on the Festival. the State Senate and House of Representatives to introduce a similar measure. 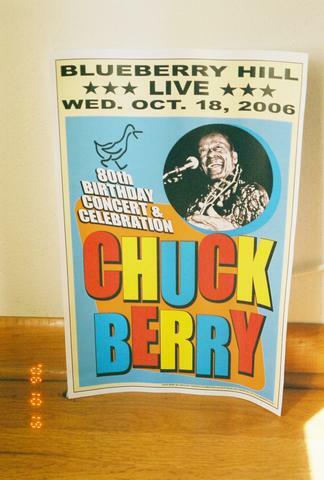 southwest Mississippi as well as celebrate the life and time of BO DIDDLEY. throughout the State of Mississippi.